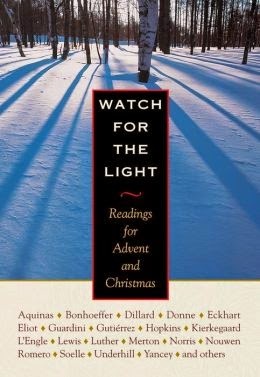 I read through this book during the season of Advent. Right off the bat, I thought it was amazing. Usually, Advent and Christmas devotionals tend to be somewhat the same. It's a lot of warm and fuzzy feelings. This is not that book. It was convicting, inspiring, beautiful. As you can see from the cast of characters that have been included in this book, it pulled no punches. It preached the gospel to me. I also enjoyed that it went on through Christmas to Epiphany. It gave the holiday a center and a focus. I highly recommend it. Get it and tuck it away for Christmas 2015. There is also a book of readings for Lent and Easter.